But there was a time when Kumar, while making a name for himself on the Bay Area blues scene more than a decade ago, would intentionally downplay his Indian heritage. He wasn’t so forthright about immigrating from Bombay — now called Mumbai — to find a new life in America as a software engineer. “I wanted to make a statement that I was a traditional blues man, so I wanted to be playing blues and have nobody even wonder where I came from,” says Kumar, 36, frontman and harmonica player for the Aki Kumar Blues Band. 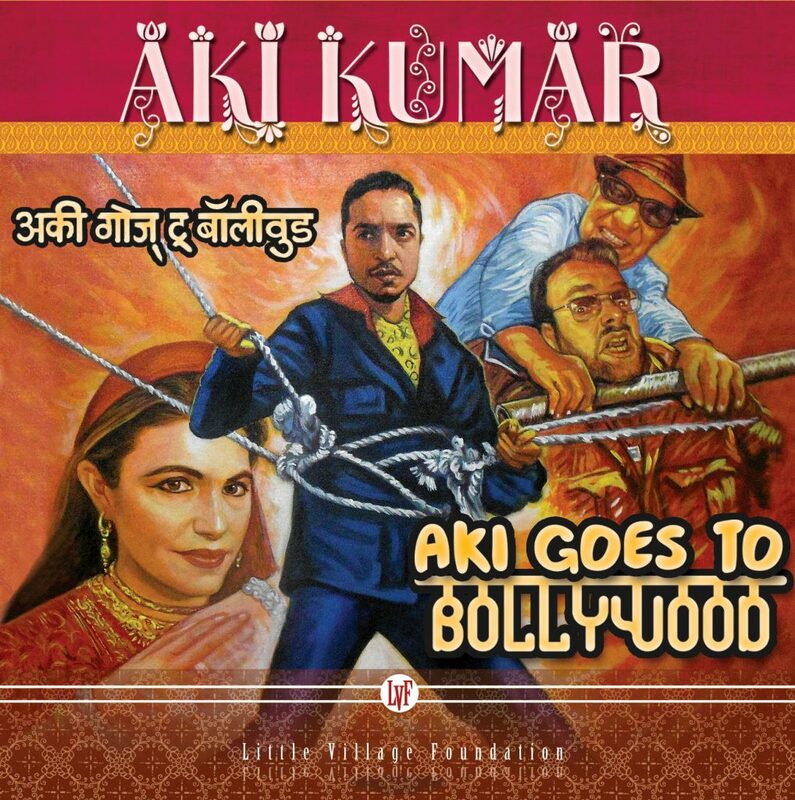 The cover for ‘Aki Goes to Bollywood’ pays tribute to classic Indian cinema poster design. But after more than a decade of playing with top-notch blues musicians and recording a rock-solid first album “Don’t Hold Back” (which garnered widespread accolades, ranging from the Los Angeles Times to Dan Aykroyd), Kumar is taking his love for the blues to unexpected places. This month, he released his second album, “Aki Goes to Bollywood,” a stylistic mashup of old songs from Indian blockbuster films of his childhood with Chicago-style blues. “It’s Mumbai meets Muddy Waters,” says Kumar, who reworked Hindi-language hits from big names in Indian pop music — Kishore Kumar, Mohammed Rafi, and Mukesh — and made them his own. American blues fans are used to seeing their music evolve and take on new forms, but back home in India, Kumar says musical culture isn’t so malleable. As he worked on the arrangements for “Aki Goes to Bollywood,” Kumar nervously sent rough mixes back home to his parents in India, whose love of music Kumar credits for planting the seeds of his musical career. This report originally appeared on PBS member station KQED. The video was produced, shot and edited by Kelly Whalen. Local Beat is an ongoing series on Art Beat that features arts and culture stories from PBS member stations around the nation.